Washington, DC: The League of American Bicyclists, a national bicycling and advocacy organization of nearly 20,000 members, has recognized The St. Petersburg Bicycle Co-op with a prestigious Platinum-level Bicycle Friendly Business (BFB) certification. With the announcement of 82 new and renewing BFBs across the country, The St. Petersburg Bicycle Co-op joins a growing list of 1,314 local businesses, government agencies, and Fortune 500 companies leading the way to transform transportation, health, and wellness for the betterment of U.S. workers and local communities. BFB requirements identify incentives, programming, and amenities proven to enable and inspire more people to ride bikes. Among those offered by The St. Petersburg Bicycle Co-op are their Open Shop DIY Repair Program, Casual Group Rides, and Community Events. According to President, Carrie Waite, the most significant action taken by the Co-op in the past year has been major upgrades to the Open Shop Program. It also plans to do more community outreach pop-up events in the coming year. 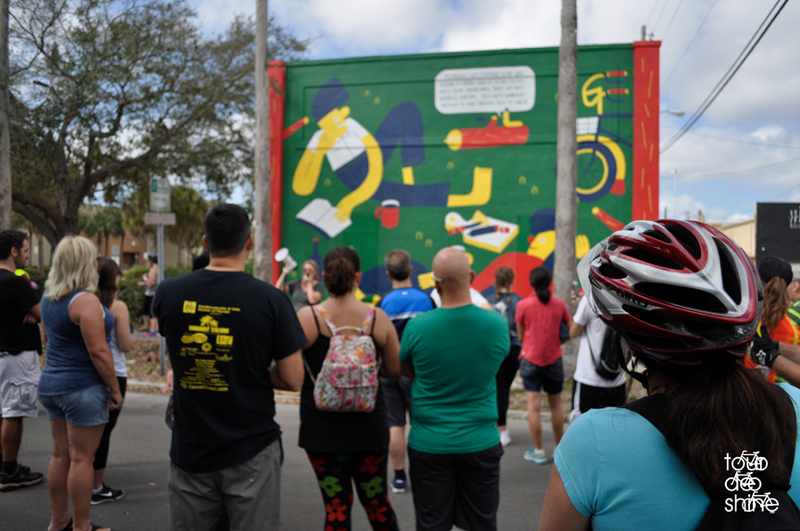 As a result of these efforts, the St. Petersburg Bicycle Co-op aims to foster a sense of community and camaraderie and make cycling in St. Petersburg easy, fun and safe for all who ride. The St. Petersburg Bicycle Co-op and other businesses have access to a variety of tools and technical assistance from the League to become even more bicycle-friendly. To apply or learn more about the BFB program, visit the League online at www.bikeleague.org/business. FLCX working calendar for 2018. Updated 10/3. Hello friends! 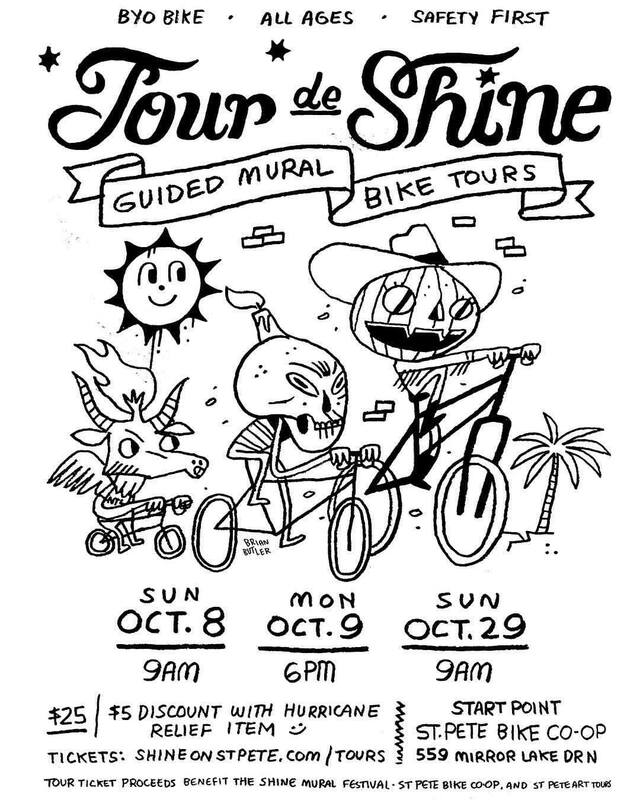 The very first Tour de Shine is tomorrow, Sunday, October 8th! It is also the first Mural Process Tour! 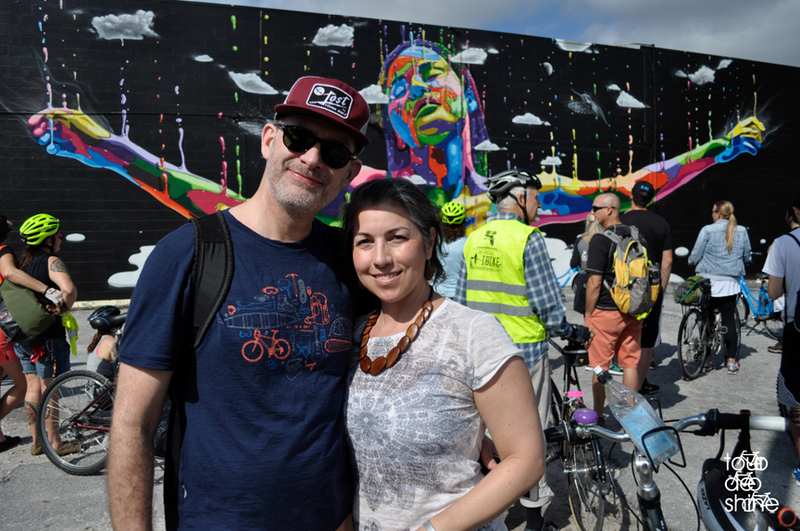 You’ll get in depth behind the scenes info on the Shine Festival, the mural creation process and a chance to meet some of the artists. Proceeds go towards supporting the Shine Festival and the St. Pete Bike Co-op. Register at 9am, ride at 10am.